The Oakland A's are looking into the possibility of installing a gondola as part of a proposed new stadium near Jack London Square. The gondola would carry fans from downtown Oakland over Interstate 880 and drop them at a ballpark at Howard Terminal. The team got the idea from the Oakland Zoo, which has used a gondola system to transport patrons across zoo property for the past nine months. "We can move more than a thousand people an hour up to the site," said Nik Dehejia, Oakland Zoo CFO, referring to the upper level of the zoo. It's a success that A's President Dave Kaval said caught the team's attention as it wrestled with ways to move fans into a proposed ballpark at Jack London Square. Kaval said a gondola or air-tram system could help ease traffic and parking woes at a site with very limited transportation options for fans. A group that's been working to keep the A's and Raiders in Oakland also is on-board. "The traffic around there is formidable, and the expense of building a BART station would be too costly," said Chris Dobbins of Save Oakland Sports. "A gondola would be a great idea." Some fans like the idea too. "That's an innovative way to do things," said Nick Gardiner, a lifelong A's fan. "I know some the transportation in the past has been BART, but I think being able to transport people by gondola is new and innovative." Kaval says a bird's-eye view experience could also bring more people to downtown Oakland and Jack London Square, an added benefit the zoo is already noticing. 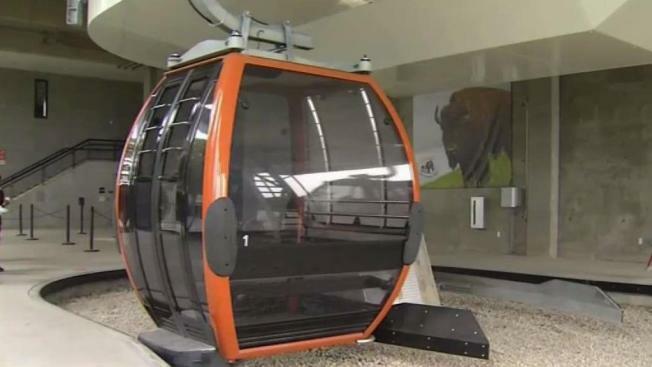 "This was designed as a mode of transportation to the upper part of the zoo, but the gondola in and of itself has become an attraction," Dehejia said. Many fans believe the A's should stay at the Coliseum site and rebuild because it has lots of parking, BART access and easy access to and from both I-880 and I-580. A spokesperson for the city of Oakland said the city is open to the idea of using a gondola system but that it's too soon to really make a statement on whether it's a viable option.